Gregory's Restaurant and Bar - Great Food and Drink...in Historic Somers Point! Gregory's tee shirts, sweat shirts, mugs make great gifts! CONGRATULATIONS Gregory's Restaurant & Bar for being awarded the people's choice and chef's choice for BEST SOUP at the 2019 Bowls of Hope fundraiser at Atlantic Christian School. And be sure to try their delicious BREAKFAST BURGER, the Best Burger winner at the 2016 Burger Bash in Atlantic City! Since 1946, Gregory’s Restaurant and Bar has been a favorite Somers Point, NJ restaurant for both locals and summer tourists. If you're looking for a friendly, economical place to enjoy great food and cheap drinks, Gregory's is the place for you! Located in the historic Somers Point Bay District, it is on the corner of Delaware Avenue and Shore Road in Somers Point, NJ. It is easily accessible from Ocean City, Longport, Margate, Ventnor, Atlantic City, Sea Isle, and other South Jersey Shore Points. The kitchen is famous for its snapper soup, whole lobster dinners, as well as a variety of other entrees, including seafood and steaks. Gregory's Proudly Supports the Hero Campaign for Designated Drivers. 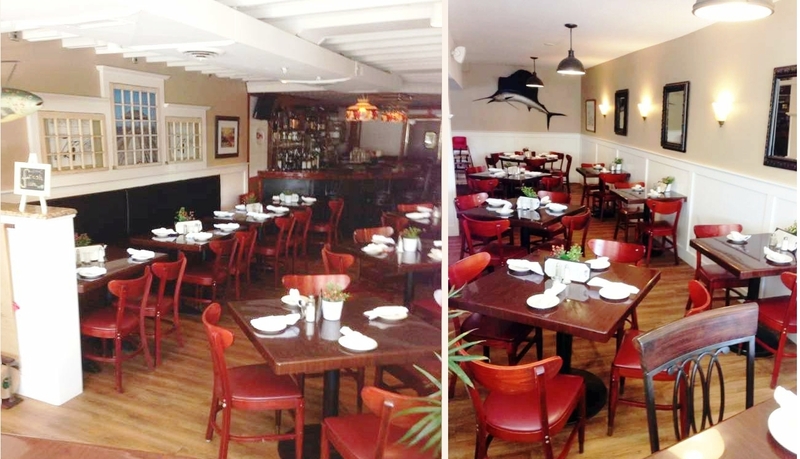 Gregory's newly redesigned dining room has a separate entrance, it's own quieter and smaller bar, and is kid friendly. For a more lively atmosphere, Gregory’s also has a separate bar room that serves traditional bar fare and entrees, offers 11 beers on tap, and many drink and beer specials nightly. On weekends you might find live bands or radio remote broadcasts, and there are always plenty of rock and pop selections on the jukebox. For those who don’t want to dine at the bar, there are tables by the fireplace and booths and "high tops" along one wall.